Snoopy, Linus and the gang to star in animated feature set to hit theaters in 2015. 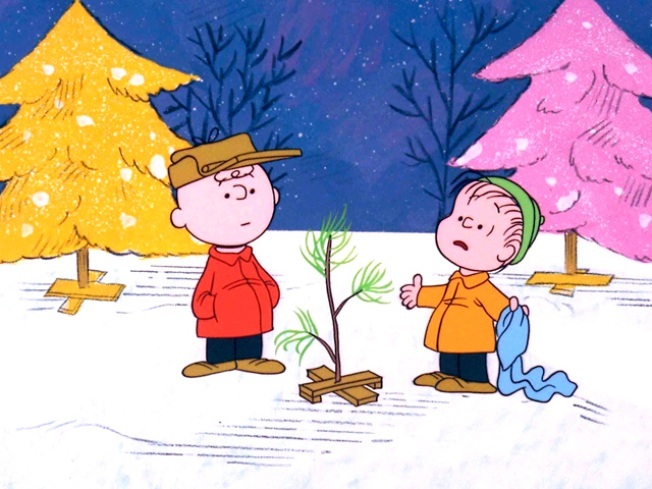 Charlie Brown, Linus (seen here in the classic holiday special "A Charlie Brown Christmas" will hit theaters in 2015 in a new, animated feature film. Charlie Brown and his "Peanuts" pals are coming to the big-screen. Charles Schulz' beloved characters are starring in their own animated film scheduled to hit theaters Nov. 25, 2015. That year marks the 65th anniversary of the "Peanuts" comic strip and the 50th anniversary of "A Charlie Brown Christmas," the first of the gang's many TV specials. The as-yet-untitled film will be produced by 20th Century Fox and its Blue Sky Studios animation unit, the outfit behind the "Ice Age" flicks and such cartoon hits as "Dr. Seuss' Horton Hears a Who!" Schulz' son Craig and grandson Bryan co-wrote the screenplay with Cornelius Uliano, and the three also are producing the film. Steve Martino, co-director of "Horton Hears a Who" and "Ice Age: Continental Drift," will direct the "Peanuts" film.